RICHLAND, Wash. — A new facility where scientists will conduct research that leads to improved catalysts, and more efficient energy and transportation technologies, will be constructed on the Department of Energy's Pacific Northwest National Laboratory campus starting later this year or early 2020. The energy sciences research building will be designed and constructed by a team comprised of Harvey Cleary Builders and Kirksey Architecture. The Houston-based partnership has been awarded a $64.2 million contract to design and build the facility on the PNNL campus in Richland. Harvey Cleary Builders served as the general construction contractor for a $75 million biological and computational sciences facility built on the PNNL campus in 2008-09. Work in the energy sciences facility will focus on fundamental research in advanced chemistry, materials science and computing. 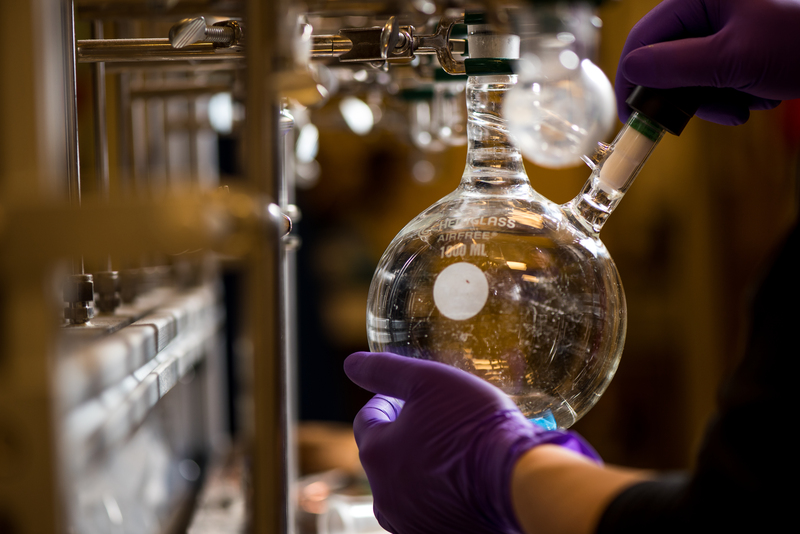 Researchers will use their findings to develop more energy efficient chemical processes and new materials for use in energy and transportation technologies, among other innovations. The research facility, to be named later, will be between 110,000 and 145,000 square feet. It will house labs and workstations for approximately 175 PNNL and visiting scientists, engineers and research support staff. According to the current timeline, the design phase will last through the summer, with groundbreaking occurring in late 2019 or early 2020. The building will be ready for occupancy in mid- or late 2021. The project is expected to tap local construction subcontractors and suppliers. In March 2018, Congress approved funding for the building's design and construction. The State of Washington also has appropriated $8 million to fund scientific instrumentation that will be housed in the facility. "The energy sciences facility will provide essential capabilities and a collaborative environment that leads to accelerated scientific discovery," said PNNL Director Steven Ashby. "Breakthrough research conducted here may lead to reduced vehicle emissions, more efficient fertilizer production, and the ability to turn waste into fuels and products more efficiently and economically." Ashby added the building will be designed to enhance regional research collaborations, including those with the University of Washington and Washington State University. The process to select a design architect and builder commenced in May 2018 when a Request for Proposal was issued inviting design and construction firms to bid on the project. Finalists were named in late July and proposals were submitted in October. Interviews were conducted in late 2018 as part of the selection process. The Systems Engineering Building, which houses control rooms, testing platforms and laboratories used to address grid modernization, buildings efficiency, renewable energy integration and other energy challenges. A 16,000-square-foot General Purpose Chemistry Laboratory to support a variety of programs and research. A 26,000-square-foot Engineering and Analysis Building that houses over 100 PNNL staff initially engaged in energy and national security research. Discovery Hall - a science and technology collaboration event center that opened in April 2018.